The fact that everything and everyone is connected 24 hours a day, brings both advantages as disadvantages. 5G paves the way for an ultrafast IoT ecosystem, companies, organisations and consumers have to bear in mind that connectivity means privacy dangers as well. 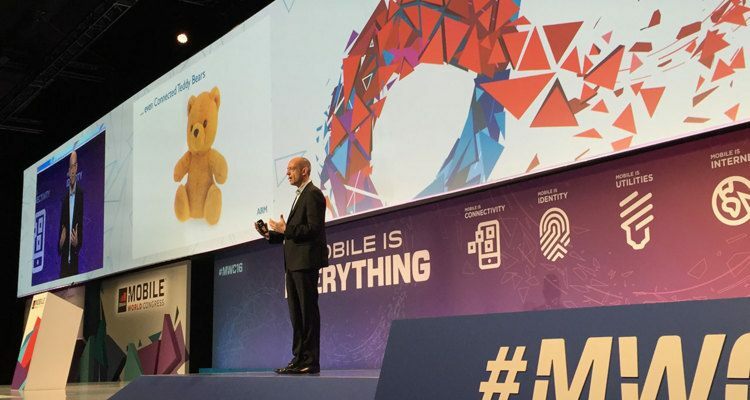 “There is always someone somewhere trying to get in into networks, even the smallest networks”, warns Simon Segars of ARM at Mobile World Congress in Barcelona. Even the smallest piece of data can be a big threat. The potential of IoT solutions is huge – as long as we get the security right. ARM’s CEO focusses as well on securing healthcare, as this sector is about to take off on IoT applications with the introduction of 5G. “Healthcare will benefit enormously from ioT, but at the same time is the most vulnerable vertical processing the most personal data: your health. In 2014, there 112 million health data breaches in the United States alone, and 1 billion on a global scale.” According to Mr. Segars these numbers indicate that the sector is already vulnerable to breaches, whilst connectivity and IoT have yet to be implemented on a large scale. The Gemalto hack has made telecom operators worldwide to think more about security in the mobile atmosphere. Although without a chance to prevent theft by the NSA and GCHQ, the hack shows technology security can fail, even with SIM cards. With companies globally demanding more security for their communications, CM, market leader in mobile messaging in Northern Europe, developed a new and safer way of sending push notifications to clients and/or employees: encrypted and masked push notifications. Concepts such as mHealth and eHealth are advancing; health insurers and hospitals are more and more aware of its advantages. Parallel to this development there is more attention for securely logging on into client and patient portals by means of one time passwords and two-factor authentication.